How Can You Keep Employee Theft Reduction Training Relevant And Fresh? I had the opportunity in the store where I work to help train another employee and it brought to mind how managers go about training employees to stop shoplifting and retail fraud. My story started when I overheard one of our cashiers helping a customer at her register. I noticed that this cashier, normally a very outgoing person and super at upselling purchases was only making a half-hearted attempt to offer the customer a new program we have started. I jumped in and spoke with the customer about the program and I signed her up. After the customer left I spoke to the cashier and asked why she had not put of her magic touch on the program. She told me that she had made attempts when the program first rolled out but when she would ask for someone to help her get off the register and show her how to enroll the customer no one would help. After a couple of times of this she quit making an effort. I assured the cashier that if we were working together and someone was interested in the program she was to call me and I would show her how to do it. Wouldn’t you know it, the very next shift I worked the cashier was working too and she had a customer wanting to sign up. I did as I promised and took them to a computer and walked the cashier through the steps, allowing her to key in the information as I told her how to navigate. This situation made me stop and think about employee theft reduction training and how it impacts the managers or associates being trained. How often do we invest time and money in training our employees on a new initiative and then fail to follow up on that training. I have witnessed training sessions that have pumped up the team with videos and music used to energize the crowd. After the sessions have ended everyone goes back to their same old routines. The managers may talk about it for a week or two but the enthusiasm dies and the program gets put on a back burner. I’ve seen this in retail operations and I have witnessed it in retail loss prevention. Admittedly, I have been guilty of this myself. How do you as a store owner or manager conduct employee theft reduction training with other managers and staff or do you do it at all? If so, is it a once and done or do you spend time on refresher training? Training should not be thought of as a one-time process. It should be ongoing but not necessarily in a formal setting. Take for example training employees on properly attaching Sensormatic labels to merchandise. You may show someone one time but occasionally follow-up and ask that associate to show you how they are doing it. They may bring to your attention an issue with label placement they are seeing on medicines. It could be they are seeing inconsistency in a protection strategy. If you find someone is performing exceptionally well, you may choose to use that person as a trainer. The fact is if you show interest in your team and what they are doing they will show interest in the store and its success. That said if you as a manager don’t have a strong skill set in an area such as time management you may find a business consultant to come in and train your managers to improve productivity. Let’s say Loss Prevention is a field you have little experience in, Loss Prevention Systems, Inc. (LPSI) conducts training for retailers to help in shortage reduction. They conduct employee theft reduction and background check training for managers. 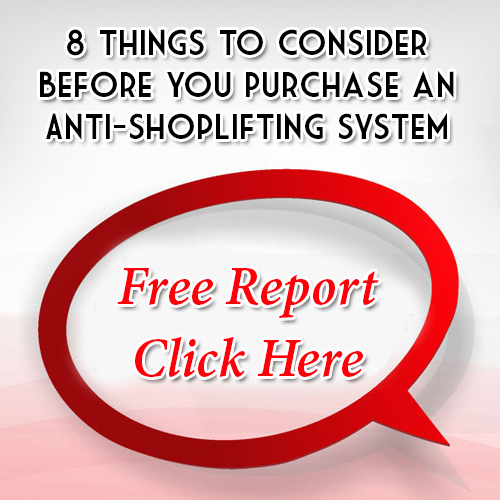 They also offer training that will help stores stop shoplifting to improve profits. Follow-up training is available through live webinars, emailed tips and an online magazine. You have an opportunity to get employees excited about theft reduction and use that energy to carry out the vision you have for your stores; a vision of sales growth and business expansion. With LPSI that excitement doesn’t need to wane since ongoing training will always be available. As for that cashier I helped, she was pleased at her first opportunity to sign up a customer for our program. As long as she receives support I am absolutely positive the store is going to benefit as she pursues customer sign-ups. That translates into increased sales for our store. Need information on employee theft reduction training? Give us a call at 1.866.914.2567 now.